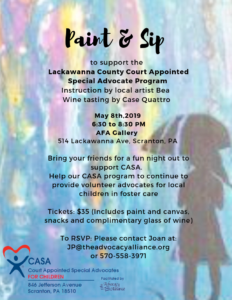 Join us for Paint & Sip Night on May 8th! 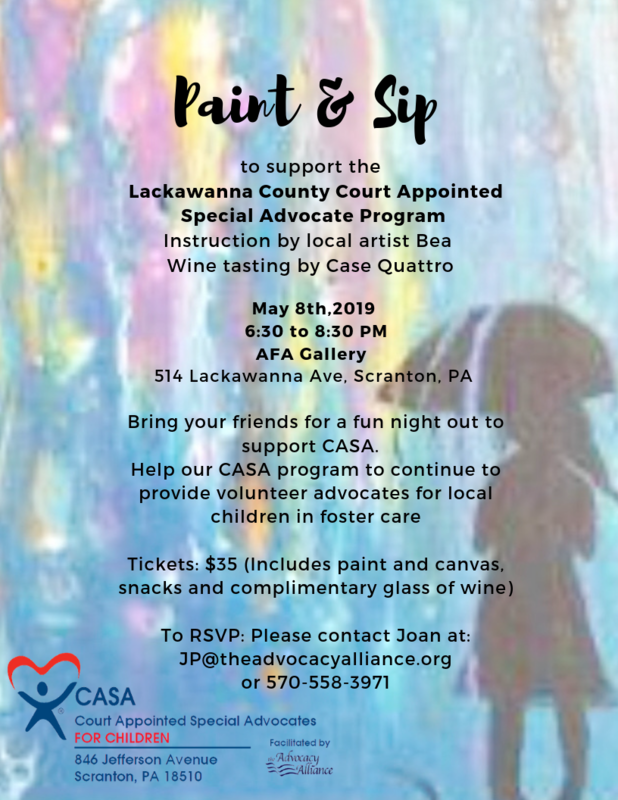 Support Lackawanna County CASA! RSVP today by purchasing tickets using PayPal button below. Check out how you can help by volunteering or donating today.